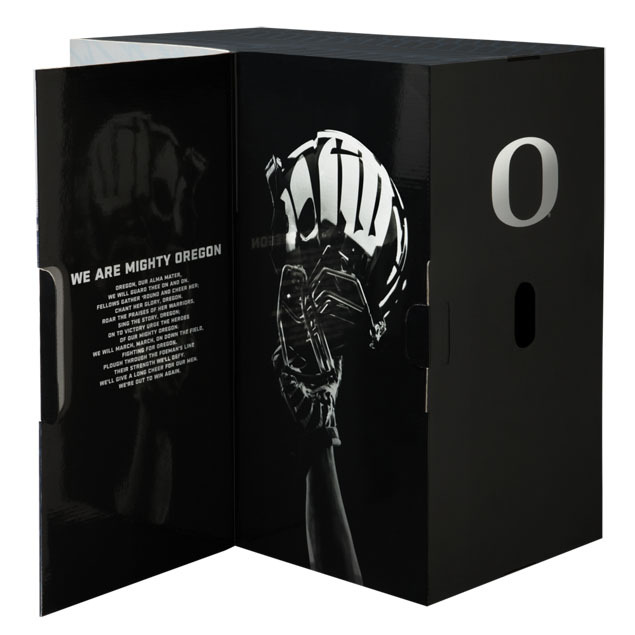 The black box features a black chrome wing design, the Oregon fight song in chrome lettering and unfolds to six drawers for each hat. 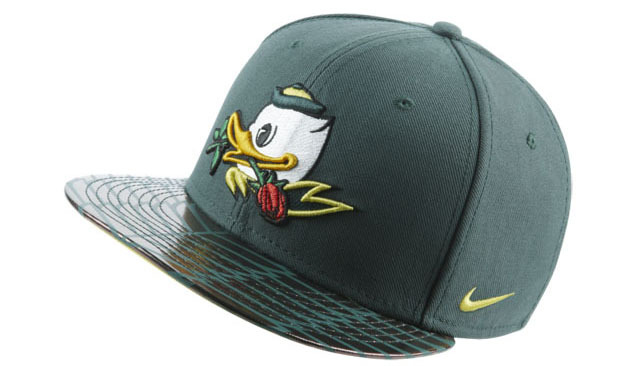 Inspired by the 2013 season, Nike is releasing the Oregon Limited Edition Hat Box. 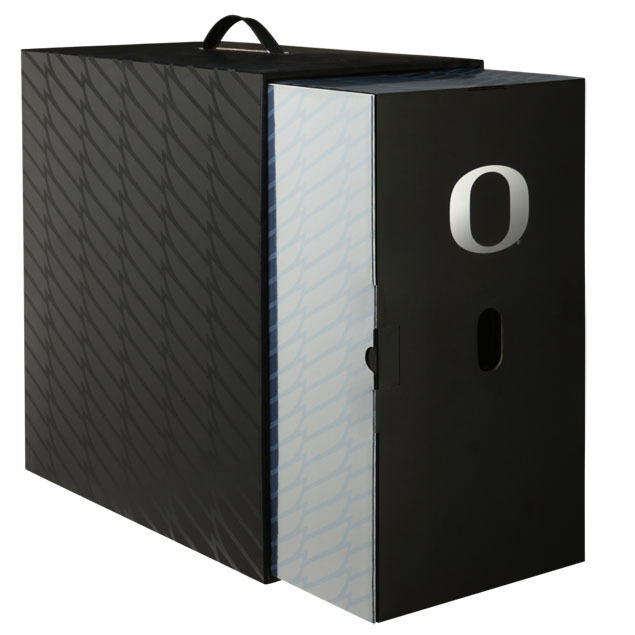 The black box features a black chrome wing design, the Oregon fight song in chrome lettering and unfolds to six drawers for each hat. The drawers display different hats inspired by Oregon helmets worn throughout the season. Each hat has a chrome feather bill. 2012's Championship Celebration hat is not available anywhere else. 'Rose' inspiration features one-of-a-kind red rose satin lining and a commemorative patch on the side. 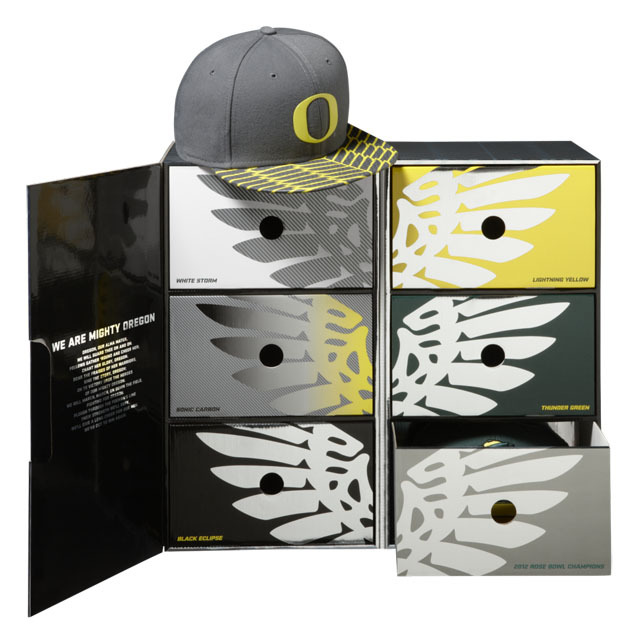 Look for the Oregon Limited Edition Hat Box on nike.com tomorrow for $350.